Checkout new codes with Konqi! 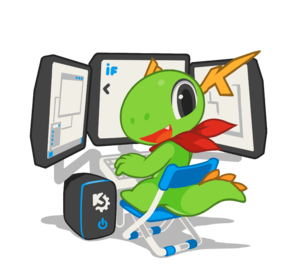 The KDE Commit-Digest is a weekly overview of the development activity in KDE. The Commit-Digest is created by volunteers using a web application called Enzyme (written by Danny Allen). Go to the Enzyme homepage and click on the "Apply" button on the right hand side, fill out the details and you will receive your login information soon. Also it is strongly recommended to subscribe to the KDE Commit-Digest mailing list and read the guidelines provided in the Documentation section. This page was last modified on 1 June 2018, at 10:48. Content is available under Creative Commons License SA 4.0 unless otherwise noted.